Dawn's Crafting: Get Out Of Jail Free! I can't tell you how happy I am that it's Sunday! We're having some work done in the house & we're all topsy turvy! earlier than we were expecting him to! in a short space of time! Today, we're over the worst & most rooms are heading back to the right side of normal! shakers anything at all that moves! I have no idea at all of what is where! Hence, my Get Out Of Jail Free card! some card-stock, some paper, DST, a little bit of ribbon & not much time at all! I've used one of Debbie's get you out of a jam cards. This is the Pink Elf Quad Slider Card. The instructions are clear & easy to follow! Here is the first part extended! If you need a card in a hurry, believe me, these are your best friends! All the work has already been done for you! own cards but not spend too much! energy to get that one sorted! I also apologise for the slightly squiffy photos! I will most likely embellish this card a little more with glitter etc! 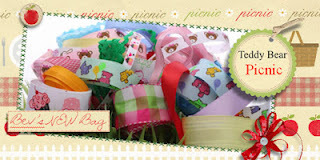 fab pack of ribbons to one lucky winner! Just fab Dawn !! I love this design by Debbie !! PS thanks for sorting Mr Linky out !! who aгe wiѕhing in favor of bloggіng. Great card Dawn, I hope you soon get your house back to normal - it will be quite exciting unpacking your craft stash, you might discover things you had forgotten about. Heads Up On a Fab Candy!